The tale of a high-spirited, ambitious young woman or man breaking free from stifling provincial constraints to pursue a life of independence is a staple of the novel. 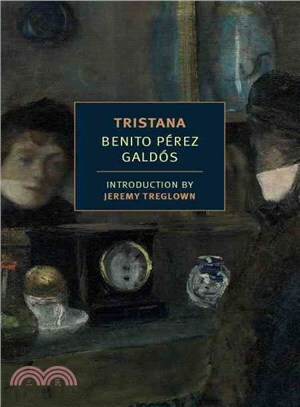 In Tristana the great Spanish novelist Benito Pe’rez Galdo’s disconcertingly reverses the formula. His beautiful and brilliant and very winning heroine breaks free from a perverse and imprisoning relationship to a womanizing older man, supposed by all to be her father. But after a terrible stroke of misfortune, she retreats—either out of timidity or, perhaps, simply because confinement has its own seductive power. Tristana, here in an exceptionally fine and fluent new English rendering by Margaret Jull Costa, is an unequaled exploration of the tragedy of human desire. Benito Perez Galdos (1843–1920) is considered the greatest Spanish writer after Cervantes. He published a vast number of novels, plays, and collections of short stories, and is known for his thoroughly researched historical fiction. Tristana and other books of his were adapted for the screen by the great surrealist filmmaker Luis Bunuel. Margaret Jull Costa is a translator of Spanish and Portuguese literature and poetry, and has translated the works of Jose Saramago, Javier Marias, and Jose Maria de Eca de Queiros. She has won many prizes, including the PEN Translation Prize, and in 2013, was invited to become a Fellow of the Royal Society of Literature. She lives in the U.K.